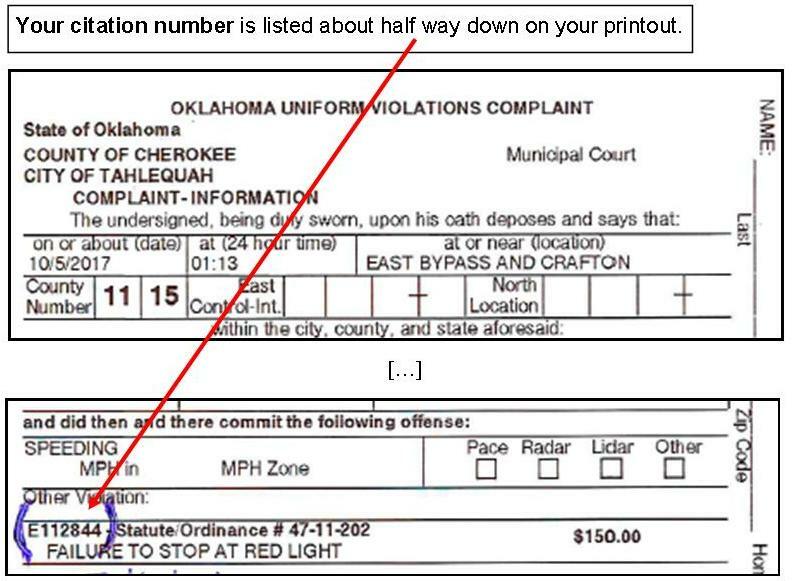 This page is for citations issued by the City of Tahlequah, OK and not for Cherokee Co. or OK Highway Patrol citations. Non-traffic related offenses for Juveniles require a court appearance. You may pay here after you've seen the Judge and been given permission. Payment of any Insurance violation without appearing in court will result in a driver's license suspension. Call the court for more information. Payments made here must be in full. It is the defendants responsibility to make payments to the appropriate court and for the correct amount. If your payment is rejected for any and or cannot be transferred to the appropriate court, the fine amount will be refunded but the processing fee will not. Please pay carefully. Click here for the court's Fine List. Are you paying the correct amount? Contact Tahlequah Municipal Court at 918-456-9472 to confirm before paying or payment may be rejected.